Oliva Nova Beach & Golf Resort Resort, patron of the SüddeutscheZeitung Golf Cup by Audi , for the second year running has been the Golf course chosen to celebrate the finals of the eleventh edition of this popular series of German Golf Tournaments. The competition that gave the starting signal on June the 9th will finish in August after celebrating the 11 one day classifying tournaments and the "SüddeutscheZeitung Marathon Golf" special event that will last for three days. The participation in the SüddeutscheZeitung Golf Cup tournament once again demonstrates the position of Oliva Nova with regards to sport. In this sense sport is an added value to the Resort which has obtained the recognition of excellence for Sport management , the award that gives the prize to the management, the organization of events and sports assessment. Oliva Nova has also received the S10 Quality note that recognizes the prestige for the sports facilities, installations that stand out above all for its Golf Course designed by Seve Ballesteros with its 6300metre rounds, that have Par 72 and that water enters into the game in 15 of its 18 holes. The first tournament dates will take place during the month of June starting with the Münchener Golf Club with the opening day then continuing respectively on the 16th, 23rd and 30th of June in the Schönbuch Golf Club, the Hamburg Wendlohe Golf Club and the St. Leon-Rot Golf Club. 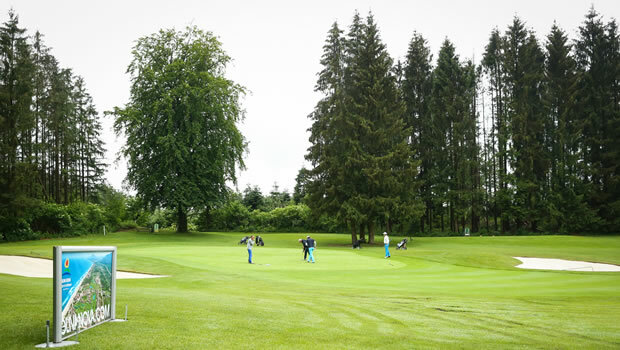 During the month of July the competitors will have dates with the golf clubs on the 7th, 14th, 22nd and 28th in the following Golf courses OlchingGolfclub, Kosaido International Golf Club Düsseldorf, Berliner Golf, the Motzener See Country Club and IdsteinGolfpark Golf and Country Club. Before the great finals, the participants will still have to play 3 more tournaments in the month of August. The first of the tournaments will take place on the 4th of August in the MünchenEichenried Golf Club and the final ones will be held on the 11th of August in the Gut Neuenhof Golf Club and the 18th of August in the WittelsbacherGolfclub. And finally, the participants who classify will have the privilege to play in two incomparable surroundings in the finals of the SüddeutscheZeitung Golf Cup from the 7th to 11th of October in the Oliva Nova Beach & Golf Resort and the 25th to 29th of November in the Robinson Club NobilisBelek (Turkey).